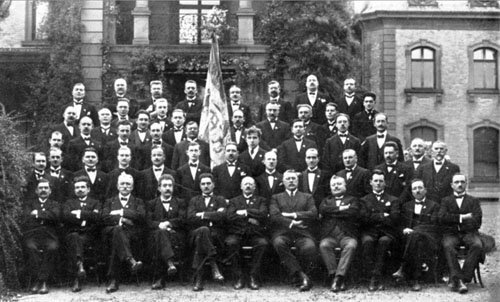 1850, C ’ is L ’ year of birth of the company which marked very quickly, under the cane of dynamic leaders, which one will find the list elsewhere, an lively interest take part in abundant the “ meetings of the singers D ’ Alsace ”, precursors of the current contests Strasbourg – Barr – Squid – Mulhouse – Benfeld – co. Marie-with-Mines. In 1870, a short interruption marked the translation D ’ a certain opposition to the germanisation, consequence unhappy of the lost war. 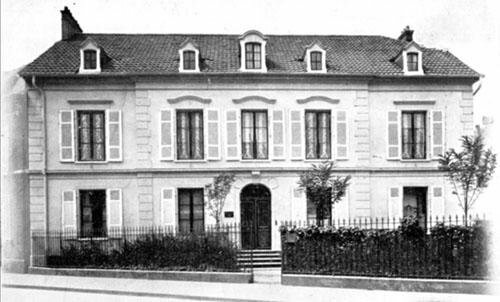 In 1909, optimists and trustful in L ’ future in spite of the vicissitudes of L ’ history, the leaders of L ’ time concretized their dynamism by L ’ acquisition of the property located, 10, rue du Manège which remains still the seat of the choral society and where the “ exercises ” took place as the repetitions then were called. This acquisition, that is to be underlined, was made possible thanks to a partial financing by the chorus-singers themselves which thus made a specimen act of solidarity. 1912 were one year which remains engraved in annals. It was D ’ access the participation in the festivities of L ’ incorporation of Dornach to Mulhouse and, unforgettable major event, displacement with the Big competition of Paris followed D ’ a procession on the Grand boulevards of the Capital. In the passing in front of the official platform installed with Tileries, Mr FALLIERE, President of the Republic, made stop the procession for S ’ to incline with emotion in front of the banner of the choral society, thus paying homage to L ’ lost Alsace. It is a hearth of work, a hearth of merry recreations, a house where reign frankest and cordial friendship. This circle was inaugurated in October 1913. It is thanks to the initiative of the Committee of then and its valiant president that the Harmony Choral society could create this << home >> in which the company reserved the buildings of the being composed first: of large and superb room of repetition, often transformed into room of dance, conferences or banquets, of a refreshment bar installed well, and an vain living room in which sit the Committee and the Commissions. The walls of the big room are covered many graduates decreed with the Harmony, witnesses of completed work”…. From 1914 to 1918, L ’ activity was more than reduced the chorus-singers being dispersed because of 1st world war. For November 17, 1918 a delegation made a point of being present to greet L ’ entered of the French troops Mulhouse. L ’ activity included in L ’ joy of the found fatherland. The circle did not désemplissait. Displacements with the contests began again successfully. The distinctions S ’ added to the rich person prize list. C ’ is with the contest of Roanne into 1923 that the bonds with the Choral society of Tunis were woven. The 75ème Anniversaire was pretext with a masterly organization. The festivities lasted 5 days with the Choral society of Tunis as head D ’ posts. The Choral society Alliance, our company S œ ur, took there already share with great talent and success. This photography is extracted from the booklet published in 1925 at the time of the 75ème birthday. The visit with the Choral society of Tunis was returned in 1927. The Mulhousian phalange was accomodated in large pump with the Residence of the Governor, this exceptional voyage making it possible each one to discover the customs and habits D ’ a country with the majestic beauty. In 1928 the choral society made a pilgrimage with the battle field of Verdun. Followed one another then of the participations, always preceded, with the contests and festivals such as Nancy, Geneva, Montbeliard, Sélestat. 1940 remain one year dark and sad with the ineffaceable memory of the beginning D ’ a mode D ’ occupation Nazi of disaster report. The patriotic feeling was sharper than ever but it was necessary to show D ’ a pretence vitality to save the face. However the French partitions as well as the flags could be safeguarded thanks to patriotism D ’ a member of the Committee. These flags, as by miracle, made their reappearance with L ’ hour of the Release in November 1944. 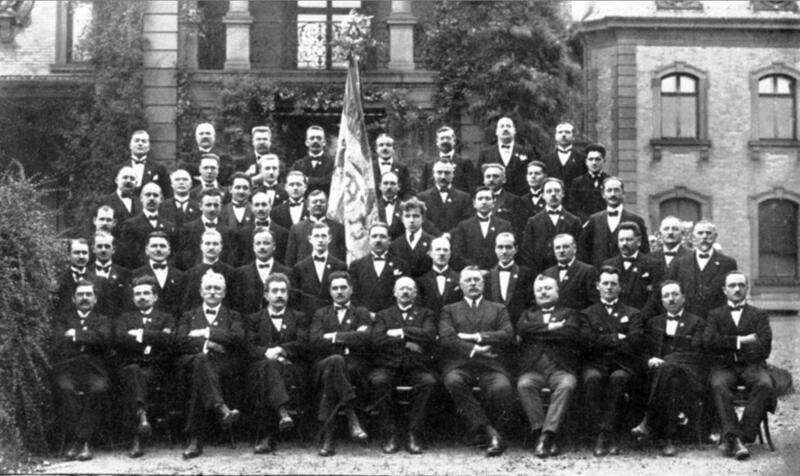 As soon as its members were again brought together, some having alas disappeared following L ’ incorporation from force, the choral society took again her activity. It was in 1945. In 1948, never with short D ’ ideas a made up triumvirate Sirs Rodolphe PFLIMLJN, Alfred MOERLEN and Aime MOSER, took L ’ initiative to create a CONTEST OF SCHOOL CHOIR SINGING. The 52ème edition took place last on May 10. Already, these warned leaders, wished to make œ uvre cultural and teaching. They N ’ ever failed in this mission, their successors either. They then had the particularly appreciable support of the primary school inspectors and the vice-chancellor D ’ academy. In 1950, for her century D ’ existence, the choral society counted in her rows 68 active chorus-singers and 230 associated members! This 100ème birthday was punctuated 9 days of festivities with a rich program where followed one another without disabling concerts, excursions and visits. The Choral society Alliance was, inter alia, present beside that of Tunis. In 1974, the world choral was in crisis, manpower dropped. The priority was given on television and to L ’ automobile which monopolized the leisures. L ’ Association of the Choral societies D ’ Alsace recorded many defections then. So the Choral society Harmony saw coming towards it from the chorus-singers coming from dissolved choral societies from Brunstatt and Dornach, in particular. She remained with the Choral society Alliance L ’ one of the pillars of the choir singing of the area. In 1975, with the 125ème birthday, L ’ Harmonie had remained a choral society D ’ men and counted 20 more credits. The problem of manpower became obvious. In 1979 Jean-Pierre MOSER was elected President, thus taking example on his father Aimé MOSER, member of the choral society since 1923 and President D ’ honor jusqu ’ at the end of his life. 1981 were marked by an significant event for the continuation. With the 33ème Concours of School Choir singing appeared a young teacher chief of CH œ ur which gained very coveted Vase of Sevres. It S ’ acted of Roland JAECKI, director of the choral society of the Wolf College of Mulhouse. Roland JAECKI, also member of the Choral society Alliance, solicited by Jean-Pierre MOSER, accepted with L ’ agreement of regretted Marius TROMMENSCHLAGER, to take the direction of the Choral society Harmonizes, whose director in place, Mr ZIND, wished to put an end to his responsibilities. Roland JAECKI had his idea on L ’ future of the choral society. He L ’ exposed to the Committee in 1983 and a fundamental change proposed to him, namely: to pass to D ’ a choral society D ’ men to that D ’ a mixed choral society! This proposal was well accomodated, in spite of certain reserves. She S ’ proved particularly judicious, manpower S ’ consequently increasing notably. From there, following in that the policy of its chief the Choral society Harmonizes in her mixed composition, took part with a success ever contradicted in the contests and occurred with the concerts with an eclectic program energy of traditional with the contemporary. Also followed one another of the singing weekends annual. 1992 were L ’ year when the choral society had to deal with important problem putting her treasury in great danger. The Municipality had indeed decided the restoration of the district in which is established L ’ real seat, building which was S ’ to integrate in L ’ more contemporary new architecture of L ’ small island of the 3 Fountains. Nobody hastened to assist to him. This N ’ is qu ’ after D ’ founded interventions and an effective know-how L ’ one of its members who the invoice could be arch with a figure more bearable cover by a loan which continues with obérer the budget of the company. The good end of this consequent business carries testimony, qu ’ once more, thanks to the determination and the perseverance of the ones and others, the Choral society Harmonizes continuous to conceal in its centre of the human means which enable him to face happiness with the most various difficulties. That, by into practice putting the values of its famous predecessors translated by this indisputable concept which wants that “ where there is will, there is force”.